Zero to $10K Review: Will It Build The Best Product Review Site? Can jealously guarded secrets and secret software help you make $10K - all sounds very secretive! I could tell you but I'd have to kill you type stuff! After thoroughly reviewing this package, even to the extent of creating a brand new site to test it on, I give you my full and thorough Zero to $10K Review. This packages has some benefits for some people, but definitely not all, so if you'd like to see if you can benefit from it then read on. This is a super thorough review so if you are after something in particular use the Quick Guide below to jump to individual sections. So why buy the reviews then? Speaking of Upsells - Do You Want To Spend More Money? Take a few minute to watch the video below so you have a better idea of just what the program is and then we will discuss. So basically the program will give you 30 interviews with successful affiliate marketers who share their secrets on how they are making thousands of dollars with little to no work so you can copy these gurus and make that sort of money yourself. Well it's always good to learn from those who have gone before you so that sounds pretty good right? But after you pay your money you find that in fact you only get a cut down version of each interview, where they reveal one secret each. Of course there is an upsell you can buy and see the whole interview if you are really that interested. But honestly I wouldn't buy this for the "secrets". 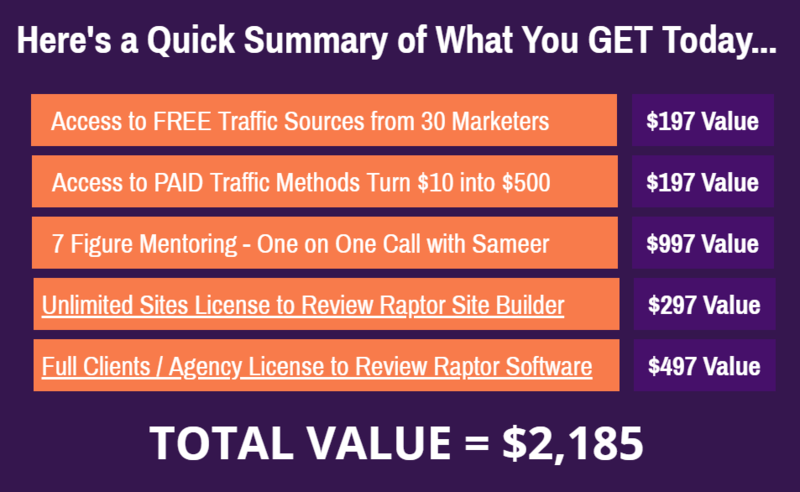 They aren't really secrets and you know this because the next section of the program interestingly called the "Review Raptor" pretty much sums up the secrets which anyone who has researched making money online knows anyway - build an affiliate marketing site with a heap of product reviews. Absolutely this works and I couldn't agree more with them on that fact. You will make money this way. We have seen a lot of platforms/programs like this, they are all based on affiliate marketing but put their own "secret spin" on it to make it just that bit more special than the next offer. So Zero to $10K indicate their program will start you earning a passive income through a profitable product review site using some sort of simple Done For You (DFY) site and a set and forget automated software system. Sounds easy right? Perfect for newbies? The sales pitch very much promotes this as a software for those just getting into affiliate marketing but after reviewing it I don't feel the same way. There are some loose merits to this program but they are not what the promoters claim in my opinion. Read on to hear why. Targeted towards newbies but impossible to use just this program to get started, You need a website up and running for a start! Only suitable for the Make Money Online niche, no value for niche affiliate sites. 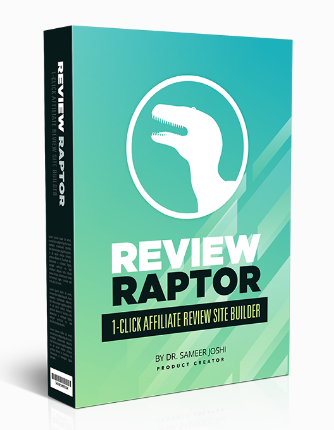 OK so apart from the 30 "jealously guarded secrets", that have been pried from the mega successful affiliate marketers, how does the actual Review Raptor software work and do you need it? Yes it is a WordPress plugin, not some super fancy new secret software! The promoters have written 20 product reviews compete with images (mostly) that you can import direct to your WordPress site. And here is where the problems begin for newbies. I thought this was a Done For You site and if I buy the program I will be up and running making enormous commissions like on the video without any hard work? Isn't that what #3 point below indicates as well? No you don't get a WordPress website with this program. 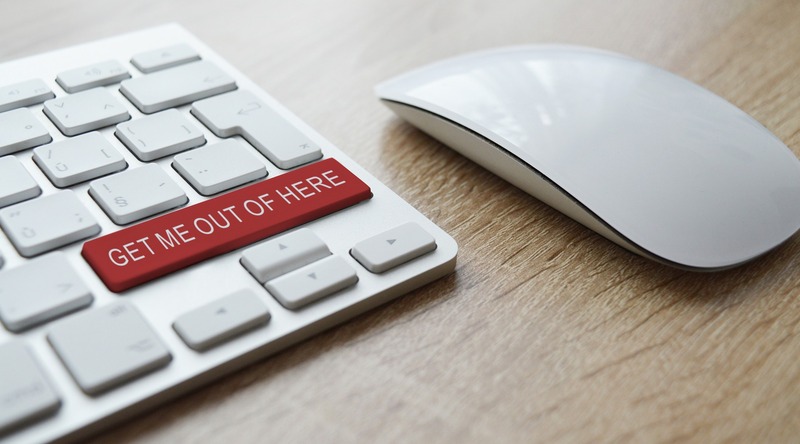 There is no information on how to set one up or any info about domain names or hosting for your website, all of which you will need to use the plugin you have now paid money for. And that's fine, that's not what this program is about, but I do have a problem that they ignore that fact and promote the program as suitable for newbies. If you are brand new to affiliate marketing you won't have a website and you will have no idea how to go about getting one from this program. This should be clearly stated right from the word go, but it isn't. So don't buy this if you want to set up an affiliate marketing website - it won't help you. So what if you DO have a website already? So in the interests of safety, in case the plugin was buggy or didn't play well with my existing plugins, I didn't want to install the Review Raptor plugin on this site. So I built a whole new website, on it's own domain, which I am going to use to test out various programs, plugins, auto responders etc.. as I review them for you. This will also give me the capacity to see how programs work over time and report back with updates on each product review as time goes on. Plus this is exactly where a newbie would have to start and what they would have to do to get this plugin to work. It was a simple download and then upload via the plugin manager in the WP editor to get it on my new site. All very simple and the install went without a hitch. It was equally easy to configure the settings to achieve what you want. I won't run through them as they are very self-explanatory but there is one that you will want to consider and that's changing the Post Status - see top box below. I recommend you set the Post Status to Draft rather than to immediately Publish. Because apart from newbies needing a website to be able to start, what I am going to cover next is the biggest omission the creators have chosen to gloss over. So you set up your website and import the 20 product reviews, publish them exactly as is, and then walk away and wait for the commissions to roll in. That's what they say right? I can not be plainer than this, if you do that YOU WILL FAIL. This strategy will never work and this is why. Their product reviews are stock standard, so every time someone imports one of these product reviews and does not alter it substantially, they are getting the exact same copy as you and I. And that means duplicate content! Imagine if they only sell say 500 of this product, that's 500 times the exact same content is going to appear on the web. There is nothing unique about your product review it's exactly the same as everyone elses! And that's very bad for SEO, and would cripple your website as Google simply sees no value in replicated content and will NEVER rank your post. This fact is glossed over with one short sentence saying they recommend you alter some of the content but you don't have to. This is simply wrong. You will have to re-write 90% of the content imported from Review Raptor for each product review to have any value what so ever and not be classed as duplicate content. You need to undertake keyword research for every review. Just using the title provided may not be the best use of keywords. So check every title keyword and see if it's worth using. If not you need to find another low hanging fruit keyword to use. Of the three I have checked so far, two of them were OK and one was a terrible keyword that will probably never rank. You also need to re-write the first paragraph to include the keyword. Also you need to have engaging titles so spend some time adding to the title to make it more enticing for a reader to click on it. There has been no search engine optimisation on any of the product reviews. There are no external links included, obviously no internal links, and also very few videos included in any of the product reviews. These are key ingredients to getting a post to rank, and they are missing. You need to add the meta description for each review also. These are all easy enough to do, BUT as a newbie would you even know what I am talking about? Would you know how to add a meta description to your blog post? If you don't then this program won't explain why or how to do that. So if you have worked out, on your own, how to buy a domain name, found hosting, created your website and done all the back end SEO required, and then put these 20 product reviews on and are expecting to make money - you won't. It's as simple as that. Without all this additional work your product reviews are destined to rot in the bottom draw at Google, because they will not rank ever! Of that I am 100% sure. I have now published three of these reviews to my brand new test site and I will be drip feeding the rest of them at one a day until all 20 are uploaded. Below is a screen shot of the VideoPal Review on the test website. The content has been unaltered. I will be changing the titles and keywords on some of the reviews, leaving some exactly as is and not re-writing content on any of them. This will be a good test to see if I can get any of them to rank and sell, thus making me some commission. I will report back as time goes on with details of how the site and my sales are doing. Every review so far has had either spelling or grammatical errors that needed fixing. There are no additional screen shots or product images within the reviews and they are fairly basic to say the least. This might be fine and I am looking forward to seeing what the search engines think of the reviews as far as ranking them. I am not hopeful for the ones that are less than 1000 words but we shall see. I won't be doing any social media marketing or paid promotion of these product reviews because the package promises commissions of up to $10k without doing any of that so we will wait for my first commission to appear and I shall report back to you here. One reason to import these reviews is to get a basic overview and understand of what the product is actually about and factual details of owners, cost etc..
You can get all this info for free if you trawl the internet. but this will save a bit of time. These reviews are written to sell the products obviously. So now you have a choice. You can blindly follow and just re-work the content so it is fresh and new, and you won't get hit with duplicate content issues, and follow their lead in promoting the product without trying it for yourself. Or you can take the time to either buy the product or get a review copy so you can provide your unbiased opinion of it (my preference) or you can start researching online and get a better understanding of the pros and cons of the product and re-write an unbiased version. Which ever way you choose to have any hope of ranking, getting traffic and therefore making sales, you have to re-write the content. 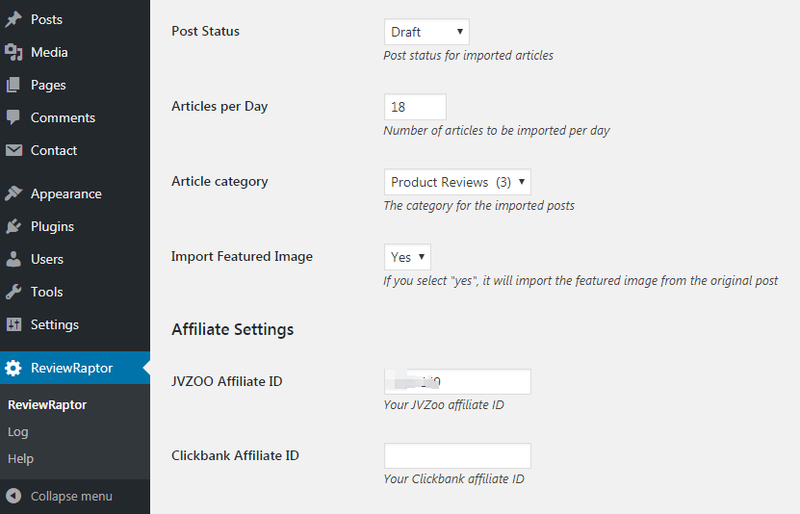 You need to be an affiliate at JV Zoo to use the affiliate links built in to the plugin. Every review has at least three affiliate links for readers to purchase the product so you need to get approval as an affiliate to claim those sales. JV Zoo usually approve affiliates with no worries, but then you need to get approval from each individual product owner (seller) that you wish to promote and this can be a problem. As a new affiliate you won't have any track record and you won't have any sales. Many sellers will not allow you to join their affiliate programs without some history. It's a catch 22! You can't get sales because you can't get approved and you can't get approved because you don't have any sales! This program fixes that issue and for my money makes it worth the $18.94 I paid to get it. I have so far applied to 3 products at JV Zoo, before using Zero to $10K, and been declined for everyone of them! You need approval to get access to the information about the products to do your own personal unbiased review - otherwise you have to buy it, like I did for this one. You should also be including an affiliate link to the product in every review even if you don't recommend the product. Why would I include a link to a product I don't recommend? Well in the end it is your readers choice if they still wish to purchase the product you might as well give them the means to do so. As I would have done with this review. but I was unable to get approval from the product owner, through JV Zoo, to do so! Plus there may be issues you have with the product that others don't see as a problem and they may still wish to purchase. That's their choice. If I come across a blatant scam site I will not provide a link to that but most products have some merit and may be suitable for some people. So with Review Raptor you are provided with a link directly back to the seller from the Log Screen to request approval. PLUS you are given a code within the Zero to $10K membership to include in your description which will automatically get you approval from the seller. You simply click the blue button that says Affiliate Approval and are taken to the correct seller to apply. This is obviously something the owners of Zero to $10K have agreed with the product review sellers and will get you a foot in the door at JV Zoo. One word of advice though don't try to sign up with every seller one after the other. JV Zoo gets a bit nervous about bots and after you do 5 in quick succession you start to get recapchas and it slows down the whole process to a snails pace. I have gone through and sought affiliate approval for every product in every one of the 20 reviews and I have been approved for them all, so I can vouch that this does work when you use the code. So now at least you have 20 products and affiliate links that you can use on your site as you see fit. If that's worth $18.94 to you then you should buy this program. To entice you to buy the program they offer 3 AMAZING bonuses. Sounds like something you need right? We all want to boost our sites so they get seen and ranked as quickly as possible. This is a link to a website where you can ping 1800+ sites with your URL. The site isn't secure and I'd personally stay away from it. I do recommend you ping the URL for every blog post or review you do though. You don't need this site to do that however, you can ping your URLs through reputable sites like Ping-o-Matic and Total Ping which covers the main areas, and you can do that for free. This is a supposed live training module, but I'm guessing it will be a pre-recorded webinar, with no opportunity to ask questions of a live trainer. I have signed up for it but it hasn't happened yet. How to start from $0 & go to $10k per year in online income - hardly a bonus as this is exactly what you just paid your money for and why you bought their system in the first place! A full walk through + training of the Review Raptor software - once again hardly a bonus, you've paid for the Review Raptor plugin so getting training on how to use it shouldn't be a bonus, it should be included. 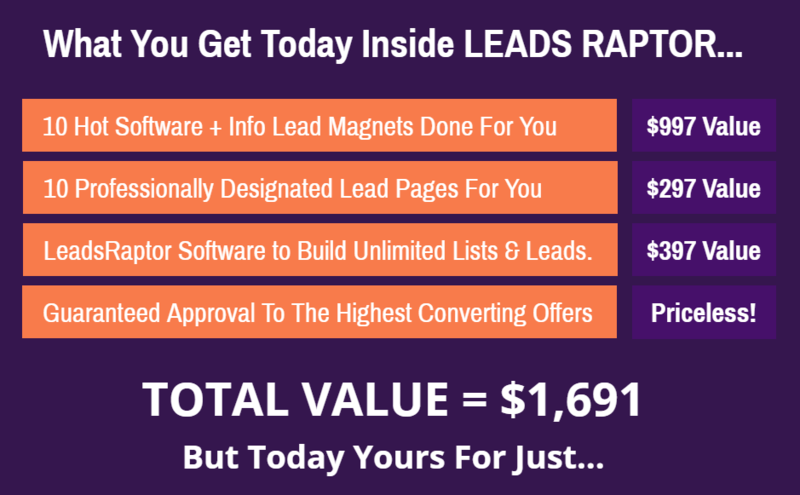 Leads Raptor software demo + complete training - this is one of the upsells and this training will be an opportunity to sell you on buying it if you haven't already. Commission Raptor training + how to earn passive commissions - once again one of the upsells, hardly a bonus if you haven't bought the product. This is a link to the same live training offered in Bonus 2 so it's hardly a third bonus cause your getting it anyway! A pet peeve of mine and this program has them in spades! 4 upsells in total, and you have to wade through 4 sales landing pages before you can actually access the program you bought. 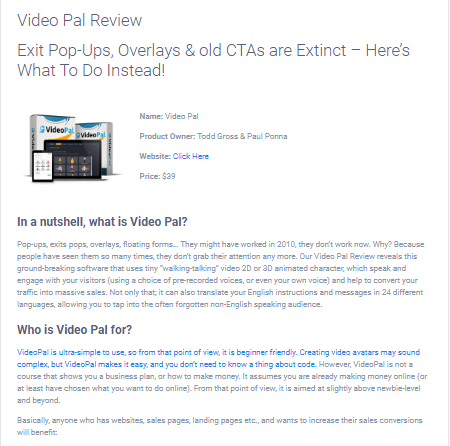 For newbies they may think they need all these upsells to make the system work for them - you don't and as a new affiliate marketer this is not the program for you anyway so my recommendation is don't spend any more money on upsells. Go and get yourself a website set up and learn affiliate marketing the right way first. You can check out my Ultimate How To Affiliate Marketing Guide for all the information you need to make an informed decision on how best to make money online. Still want to know about those upsells? I did not buy the upsells so I am not going to comment to much on them but in total if you buy all 4 of them you have then forked out a total of $175. If you are new to affiliate marketing I really encourage you to spend your money on getting training and building a legitimate site, your money will be wasted if you start here. Click to enlarge. This includes the extended interviews with the 30 guru millionaire marketers. Click to enlarge. Guaranteed approval to high converting offers does sound good, but once you start making sales you will get approved anyway. Click to enlarge. Email marketing can be done for free when you start off with products like Sumo, Mailchimp or Mailerlite. Click to enlarge. Reduced price access to more software from the 30 mega-millionaire affiliates. This has turned into an extremely extensive product review and to be perfectly honest there was even more I could have spoken about. But the bottom line is if you would rather pay and watch videos for so called "secrets" that can be learnt from any good affiliate marketing training then go right ahead. If you want lazy access to product reviews and you are happy to extensively re-word the content in an attempt to get ranked and you don't care that you haven't personally reviewed the product, go right ahead. If you need to get a foot in the door at JV Zoo and get signed up with some sellers so you can either review their product legitimately and may be even sell them and you are happy to pay $18.94 (current at time of writing) then Zero to $10K Profits is for you. So is there a better option? Well I'm glad you asked! I have the perfect place if you are new to affiliate marketing and you want to build a website to make money online and you want to learn how to do it the right way. A way that will get you ranked in the search engines and see you building an ethical, long term business that will pay you in passive income for years to come. A platform that has been around since 2005 and has over 1.3 million members, of which I am one. A community of positive entrepreneurs who are making money and understand the journey and are right there to give you all the support and guidance you might need. This is the best affiliate marketing business model available today and I'd love for you to join me there. I am currently in the Top 100 members and I will be your mentor as you build out your online business. If you would like all the information on this platform as well as the best way to make money online then check out my Ultimate How To Affiliate Marketing Guide. Of course as always if you have questions about Zero to $10K then pop them in the box below. As I have said I have reviewed this product extensively and I will be happy to answer any further questions you may have. Thank you for this in-depth review about Zero To 10k. 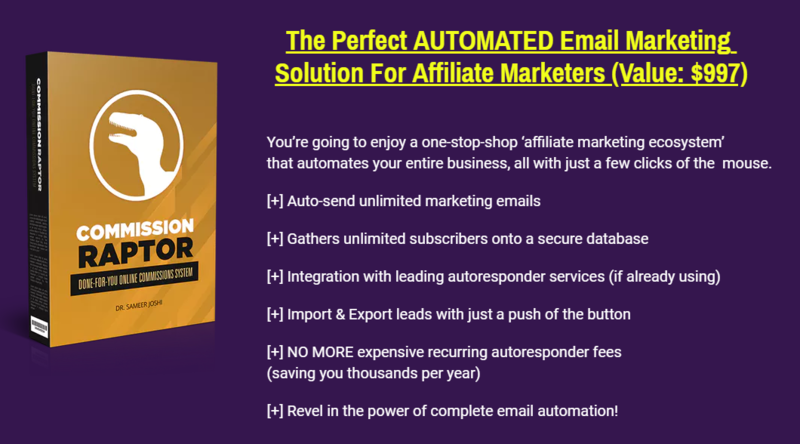 This program which only gives you Raptor Review Software and pre-written 20 products reviews to be published on autopilot on it’s own won’t earn $10k per month. Further, there are lots of upsells. As we all know Making Money Online niche is petty much competitive and these duplicated reviews will not be ranked highly in SERPs, thus you will not make any money. We were taught by Wealthy Affiliate how to do a proper product review, training on SEO, free and paid traffic and much more… So if you want to start a web business, give Wealthy Affiliate a try, after all it’s free to start. Thanks for stopping by for a look Zayn. Yes indeed 20 product reviews won’t make a website and I have already stumbled upon another site which has used at least one of the reviews without any changes what so ever, so no hope of ranking in the SERP’s (Search Engine Results Page) as you say. I think the concept could have merit, and possibly an ongoing membership type subscription, if they were to put out fresh content on a regular basis. But then I suppose no-one wants to pay what it’s worth! Hello Heidi, very good review of a Zero to $10K online business oportunity. The concept of this marketing program seems interesting, especially when you hear those 30 interwievs. But as you mentioned you need a website before you joining here. As you described writing reviews is something really different here than in other affiliate programs. I`m sure that many people will find your review very helpful, thanks for sharing with us! Glad you enjoyed the review Luke, it ended up being a labour of love as I created a whole new site to run the plugin on and to put the reviews up so we can see what would happen if a newbie were to go down this path. So far I have published 5 of the reviews and not surprisingly none of them are ranked! I will keep updating the review as time goes on and we will see if this little site can make any commissions. Thanks for the the review about this program. First of all, I never heard about this program, but I have to tell that it seems a useless product to me. It looks like that this will not give enough information and lessons to the members to reach their goals. Many programs like this ask you to join other projects (you have to pay for these) to reach success. These are not guarantee anything, and if you will fail – those who are new in internet marketing will probably fail – you will be angry. As you wrote, there are many useful projects that can help to earn money with blogging and online marketing. As an FX trader, I am not searching for this kind of products, but I also don’t suggest to anyone to waste time to this project. Hi Gno and thanks for your comment. Yes for anyone new to affiliate marketing this product will be a waste of money. As I said in the review if you need a foot in the door at JV Zoo to get access to some of the affiliate programs and links then this is one way to do that. But each marketer needs to decide if the price is money well spent to get that access. I wouldn’t have been quite so hard on the product if they had been upfront about needing a website first and marketed it as such. My best wishes to you on your FX trading.